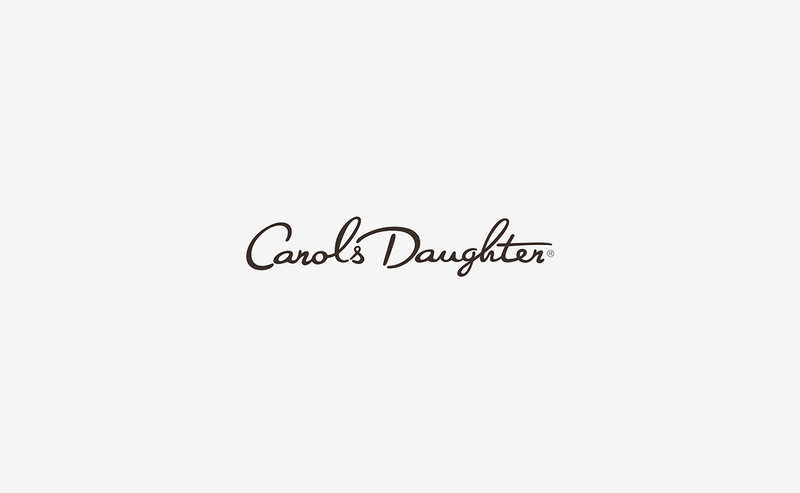 Carol’s Daughter, a Brooklyn-born brand owned and operated by L’Oreal since 2014, is a beauty line focused on promoting individuality and self-acceptance. 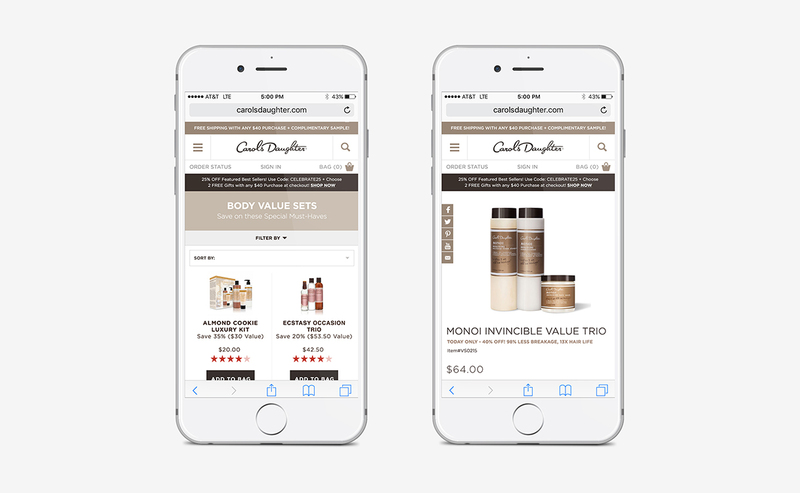 Not your typical beauty brand, Carol’s Daughter needed a website that reflected their pioneering history in the natural beauty movement and their commitment to the customer experience. 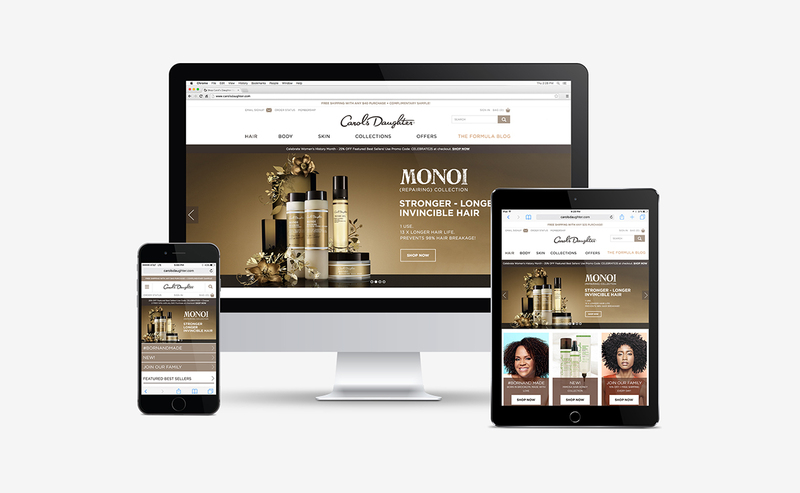 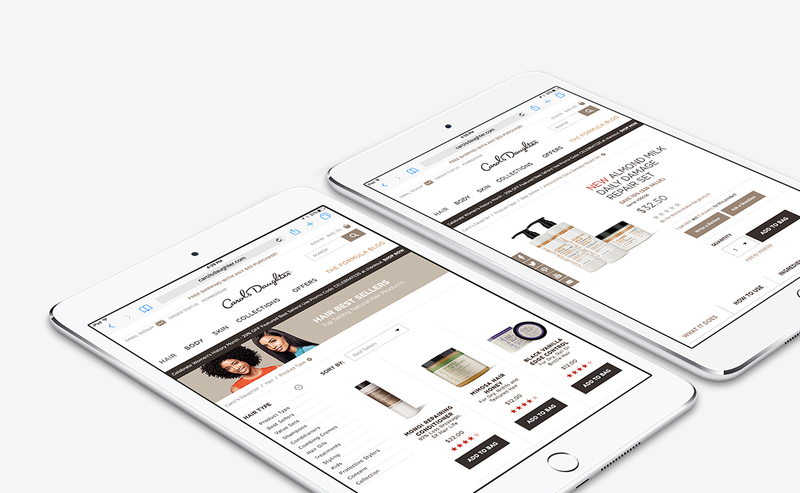 To achieve this, L’Oreal set Taktic Studio with the task of redesigning the website of Carol’s Daughter with a strong emphasis on responsiveness and light UI/UX. 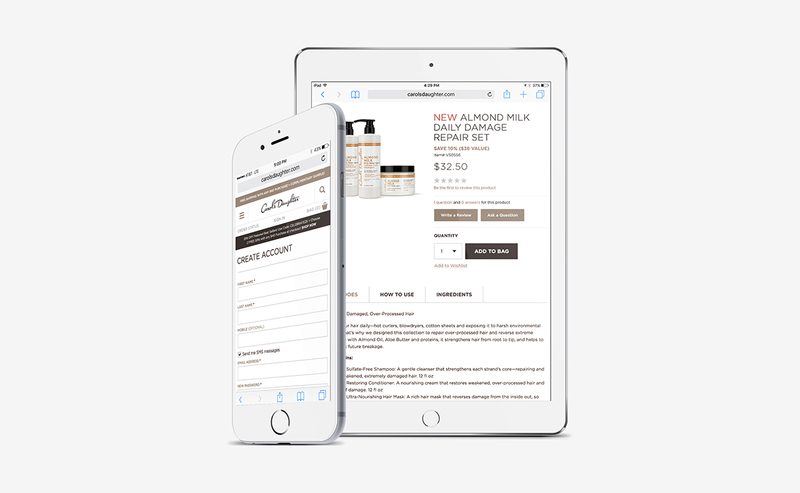 We delivered a crisp, simple web design that featured a natural earth-toned color palette and shone the spotlight on product information. 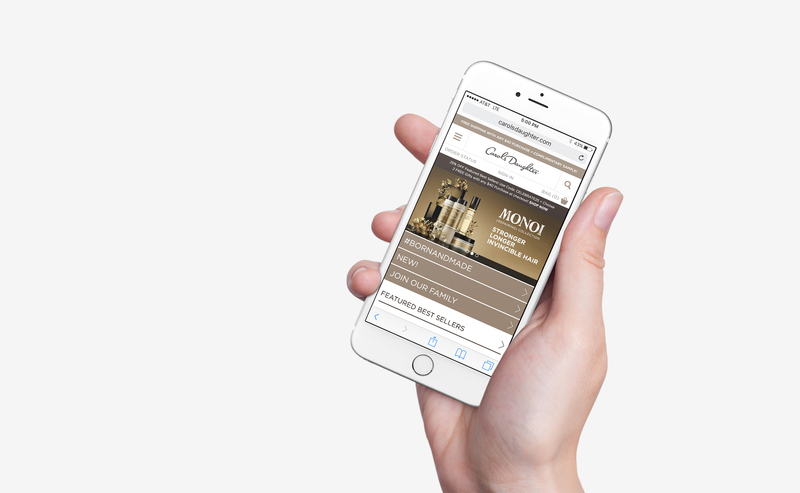 With a highly responsive site that’s accessible to users across all devices and platforms, Carol’s Daughter was set to deliver a higher quality experience to their audience.